Otherwise, you can do a quick development yourself, by exporting the Excel table as Tab-Delimited or CSV format, import it into your template document as a Data Object, and process it within the document, and save the results. You might use the Template function of Acrobat/PDF, to create individual pages.... An Excel recordset opened with ADO is read-only so changes and additions cannot be made to the source data. Operations must be concerned with reading the data. I have an Excel file with an external data connection set up. It pulls data in directly from a database, and gives us about 450 rows. 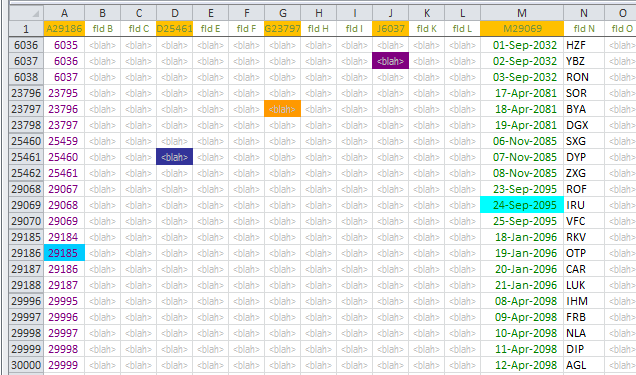 The header row allows us to filter the data in the sheet, and we use this as a general purpose tool... I will use the filters to narrow down what I'm looking at based on criteria that change depending on the circumstance. I'm currently trying to modify a Visual Basic macro to only save spreadsheets in a workbook that have had populated cells. The current macro just saves the entire 16 sheet workbook as a PDF yet a maximum of 9 of these sheets are sometimes left uncompleted, yet are still saved.